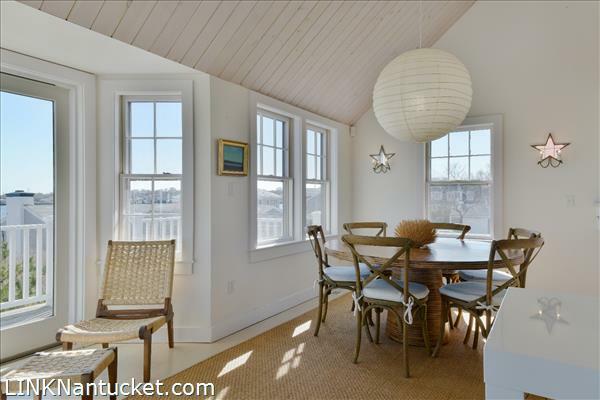 16 Easton Street has been a careful observer of this activity and energy, and is now available to be shared with a new owner. 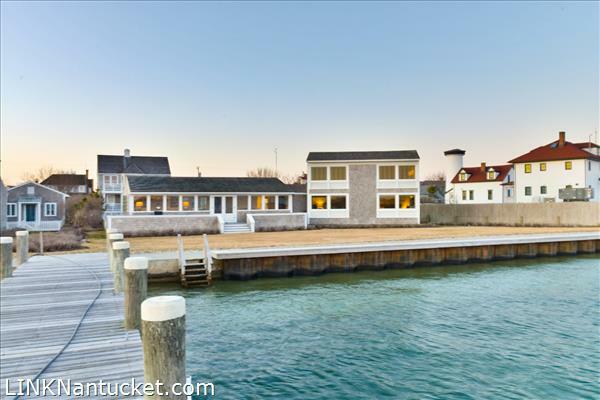 There are two structures on the property; the main house fronting the harbor and the cottage with first and second floor views of the water. 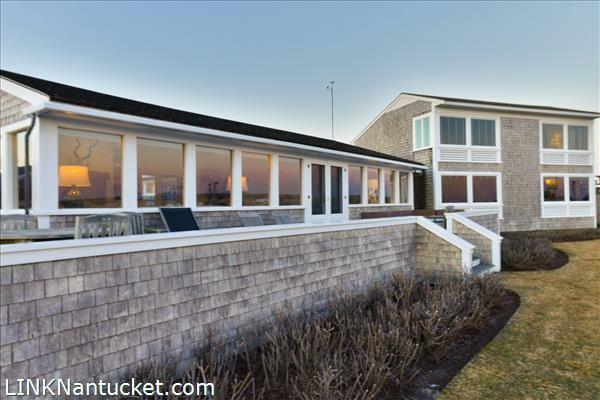 The main house was built in 1954 and leans toward a mid-century modern aesthetic, the main focus of which in this case, is to exclude any visual barrier between the interior and exterior of the home. 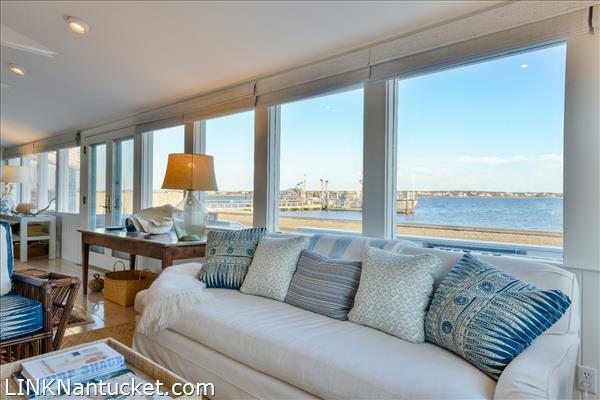 Sitting in the living room and looking out the gallery of windows, there is the sense that the house is floating on the water. 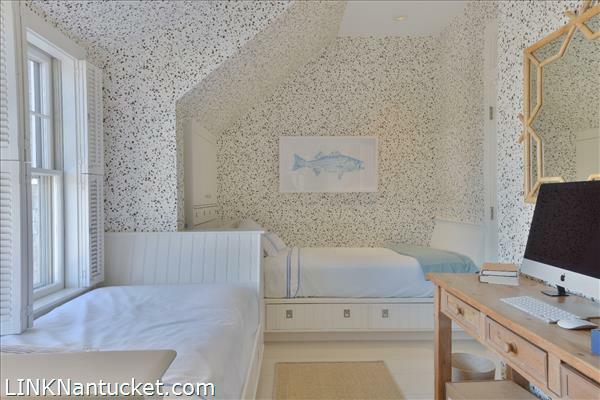 This same impression is conveyed to the dining area and to four of the five spacious bedrooms. 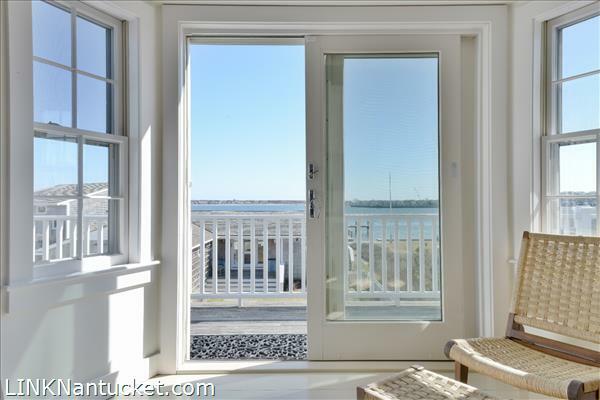 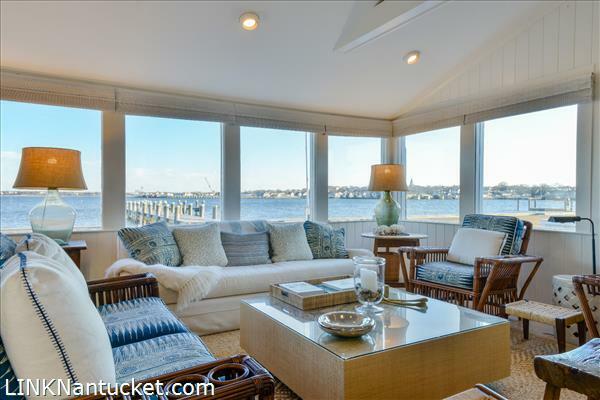 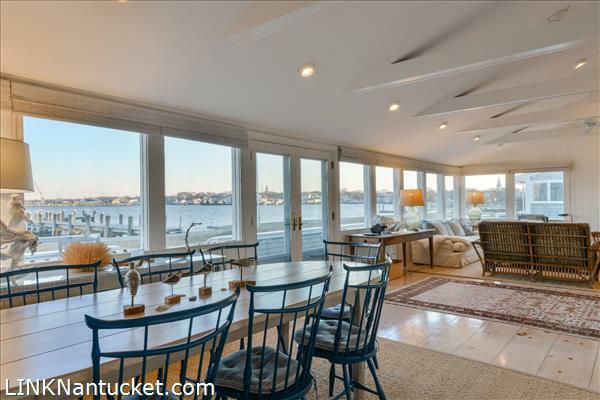 French doors open this space out to the large deck that steps down on to a grassy lawn and then to the harbor bulkhead. 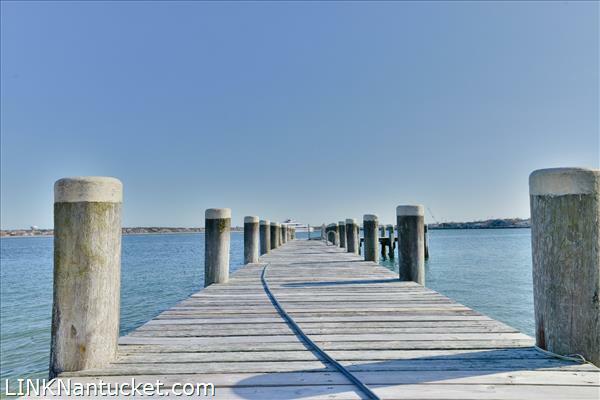 There are steps down to the water for swimming and boating. 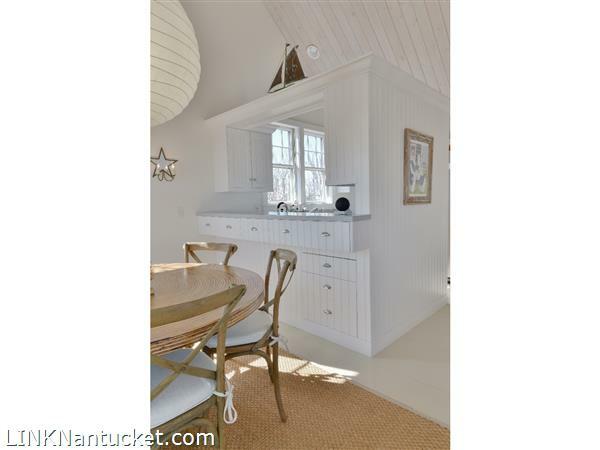 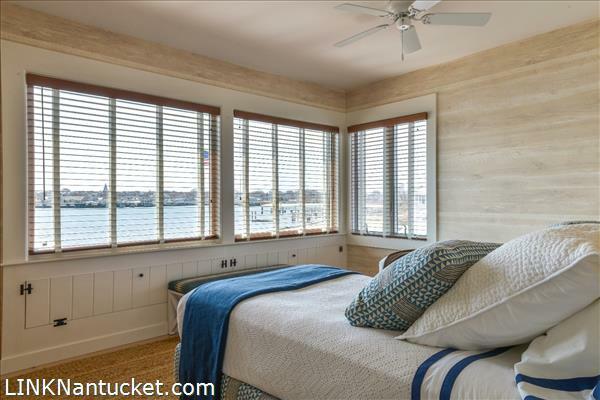 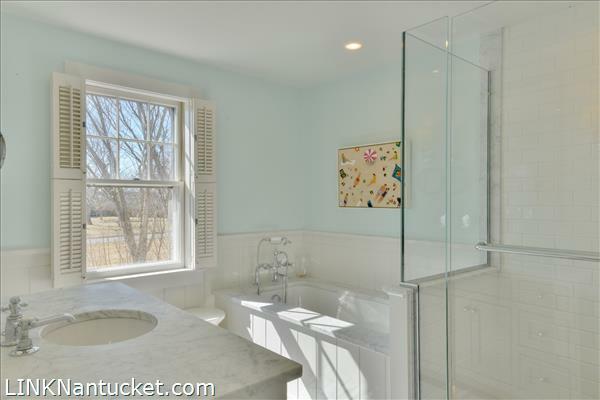 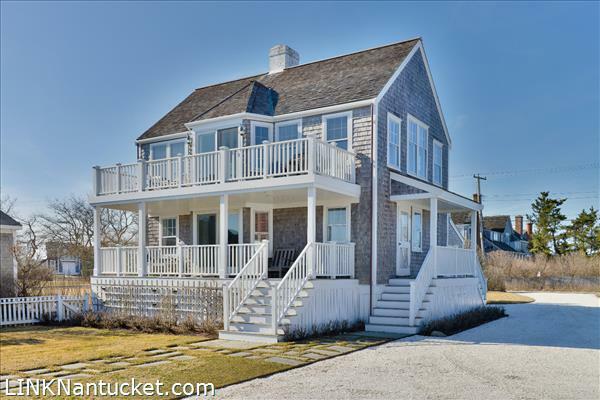 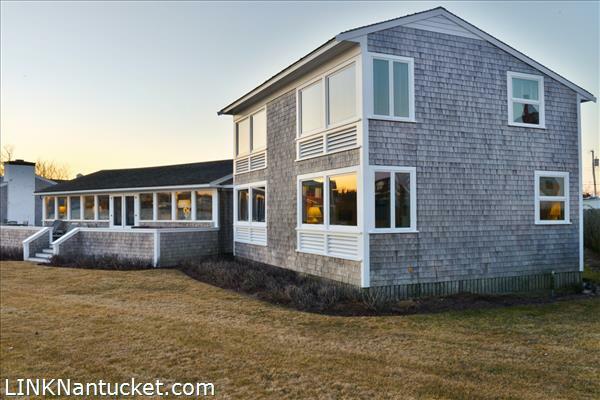 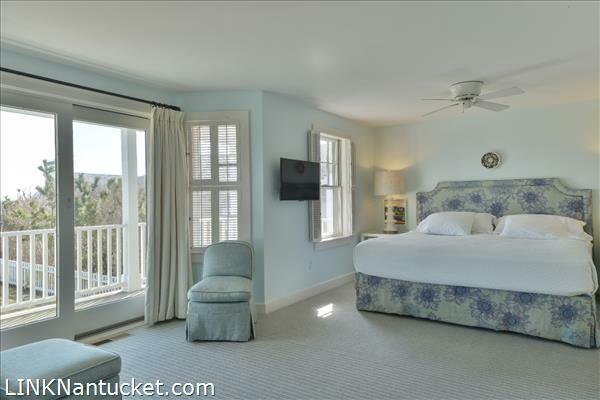 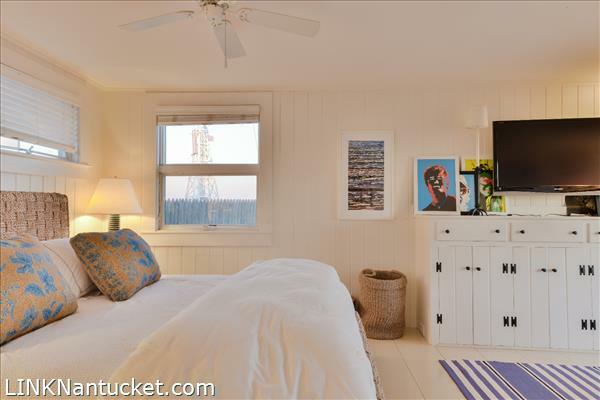 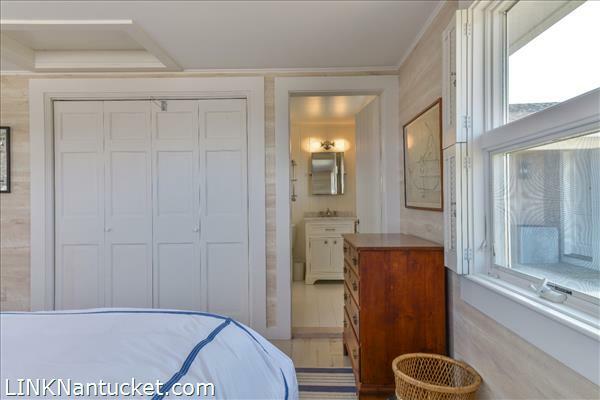 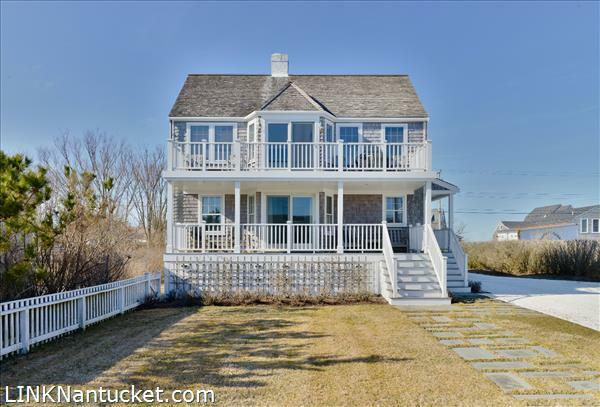 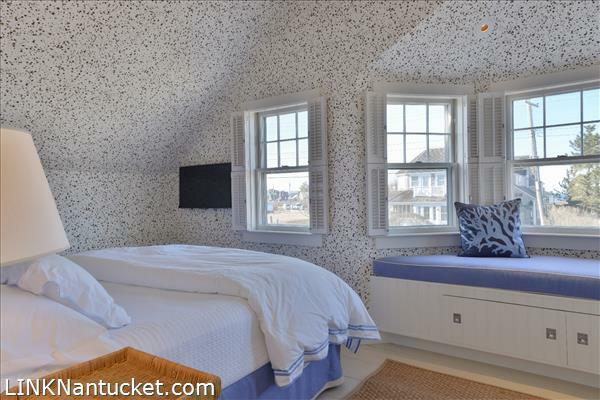 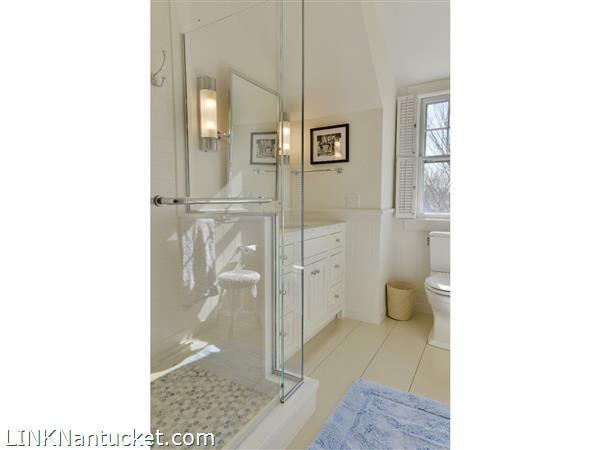 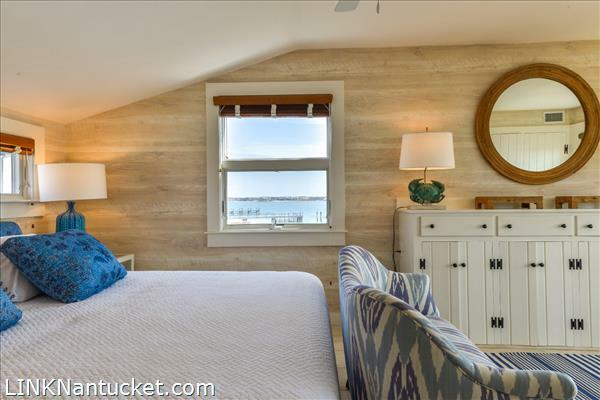 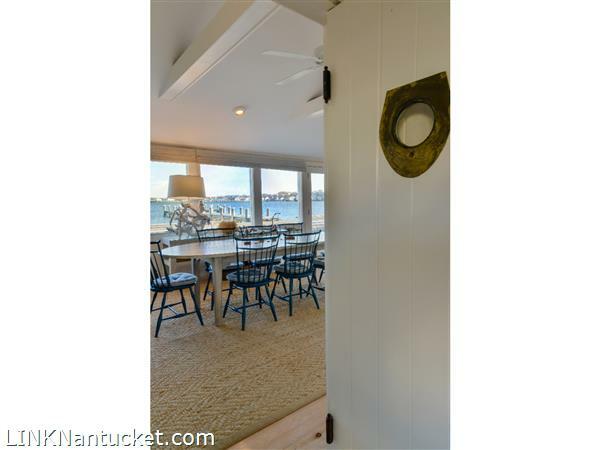 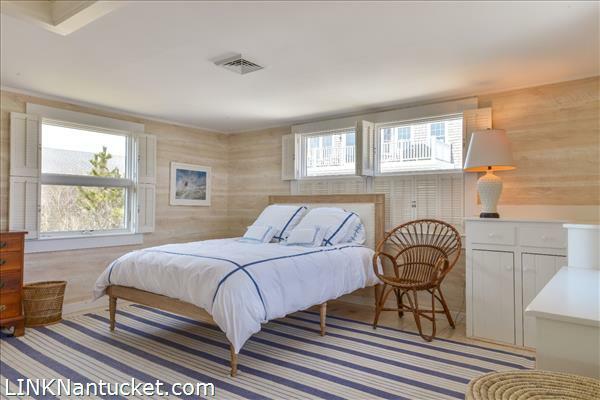 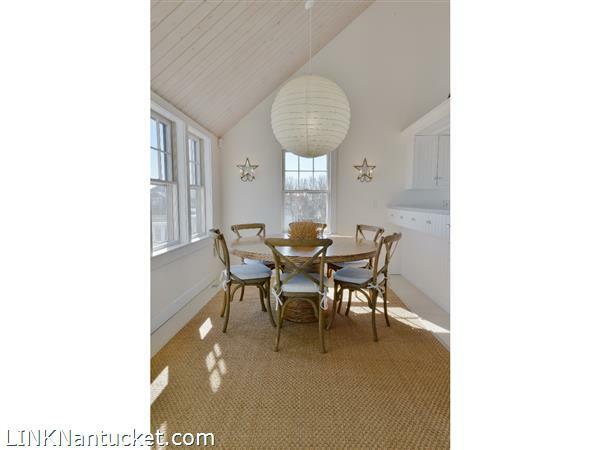 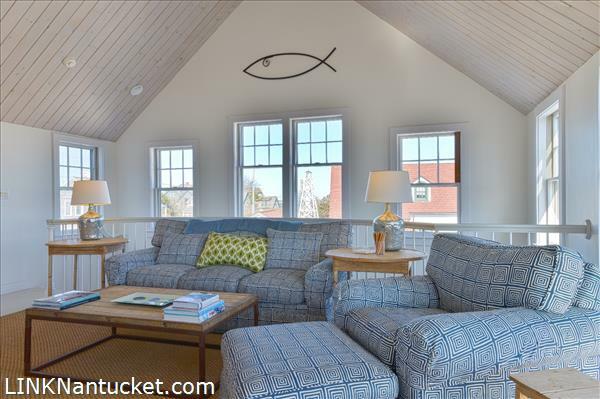 The cottage is of newer construction and has a generous first floor master suite which has water views, two bedrooms upstairs along with kitchen and open living area, and a large deck with a sweeping view of the harbor and town. 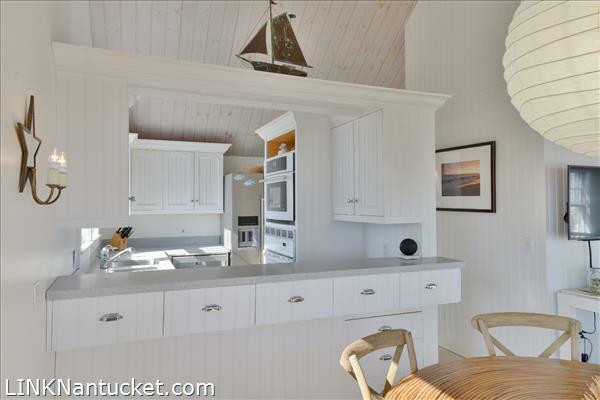 The cottage also has a large attached two car garage, is fully insulated for winter. 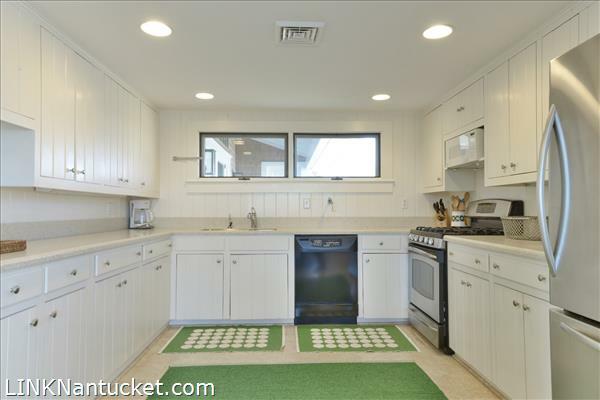 and is heated and air conditioned. 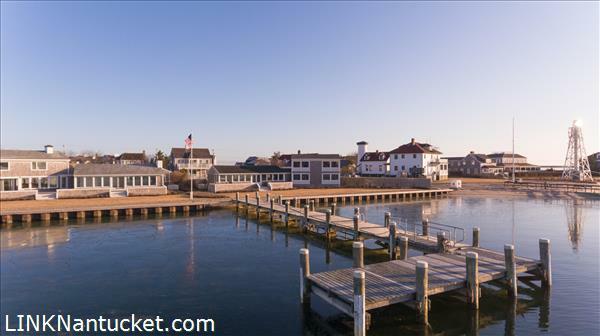 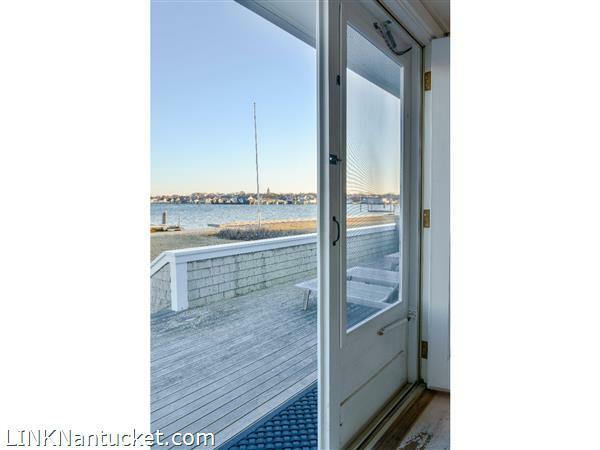 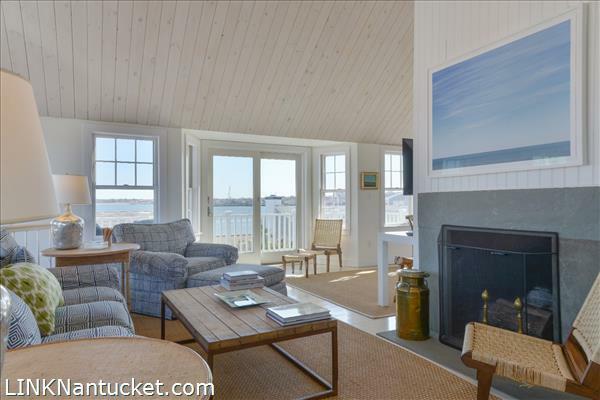 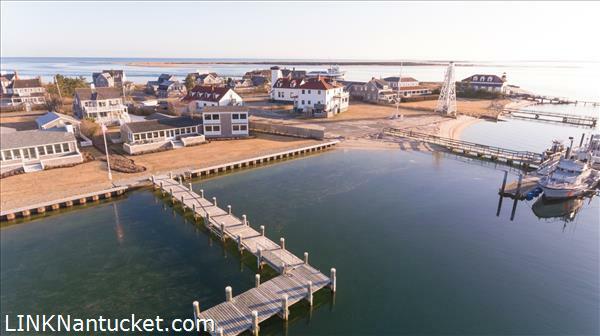 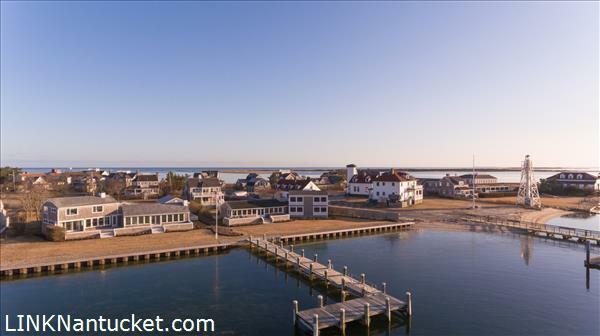 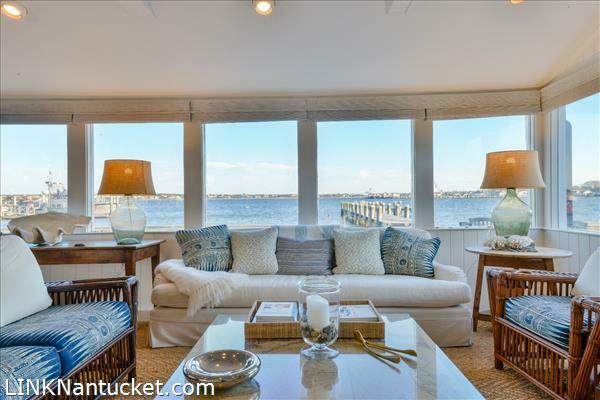 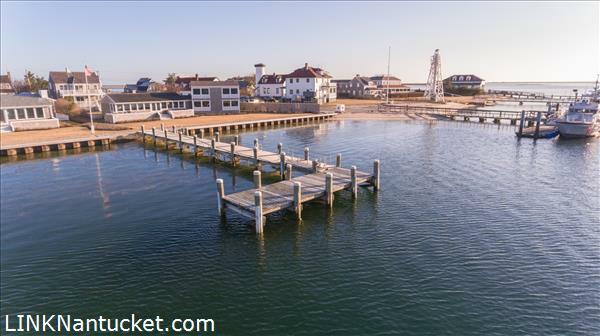 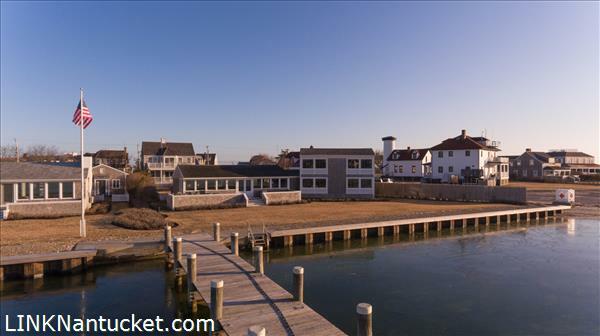 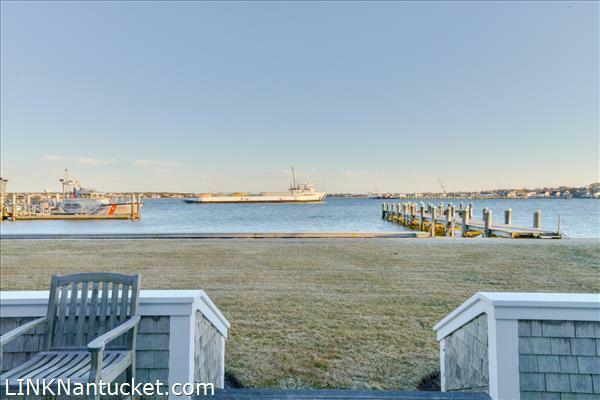 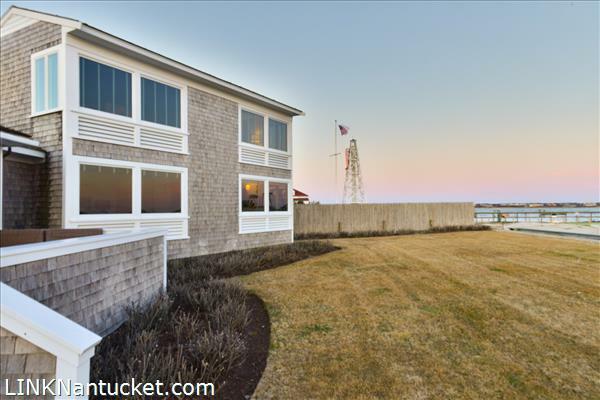 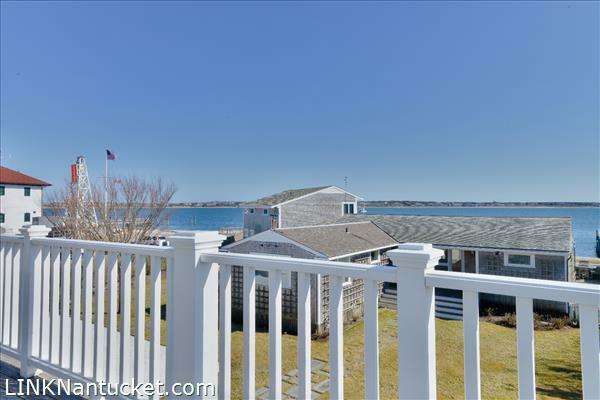 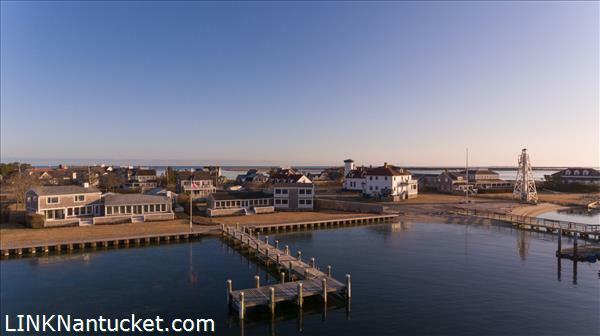 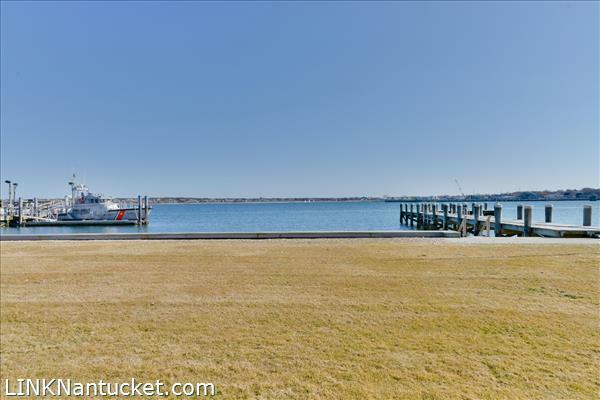 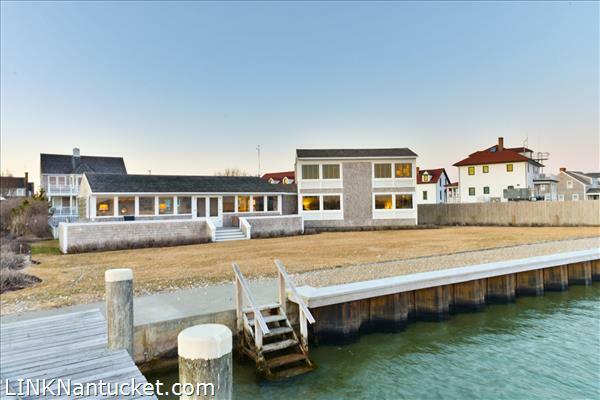 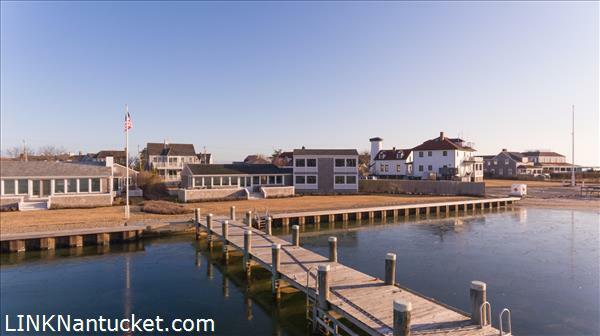 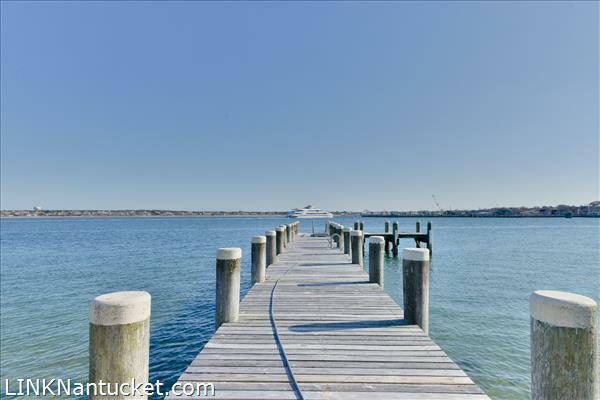 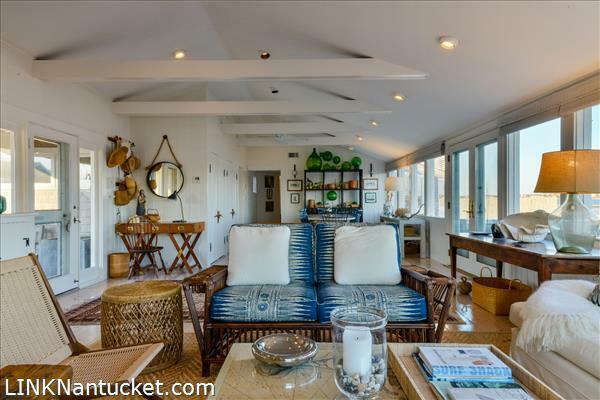 The property is gifted with a permanent easement to use the east side of the adjoining pier. 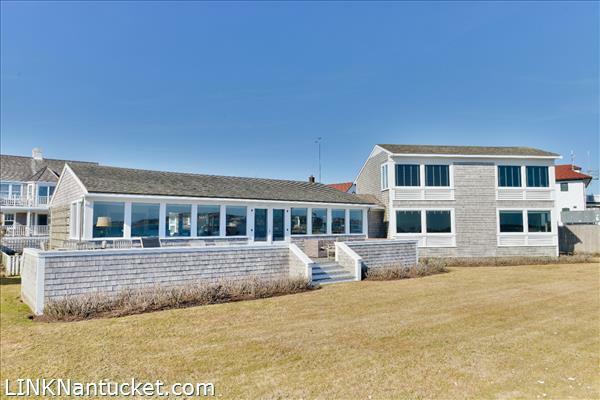 First Floor: The first floor of the main home includes the living room, dining area, kitchen, and a large en suite bedroom at the rear, plus two waterfront bedrooms. 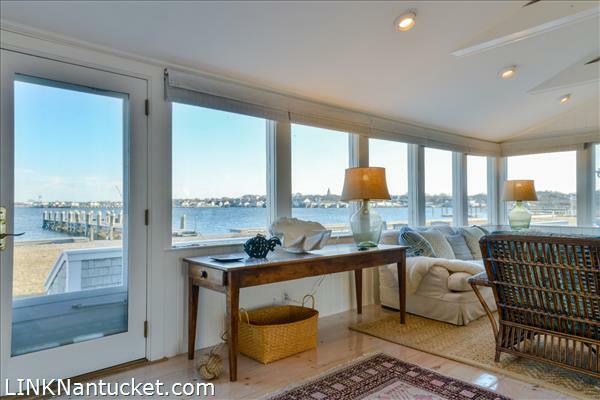 A wall of windows runs the entire length of the public area of the house. 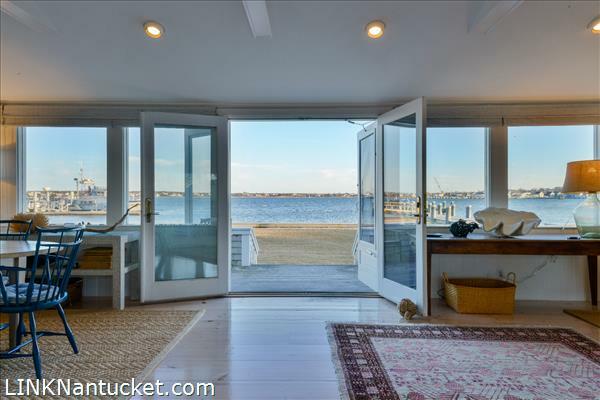 French doors open to a large deck that steps down to the lawn and pier. 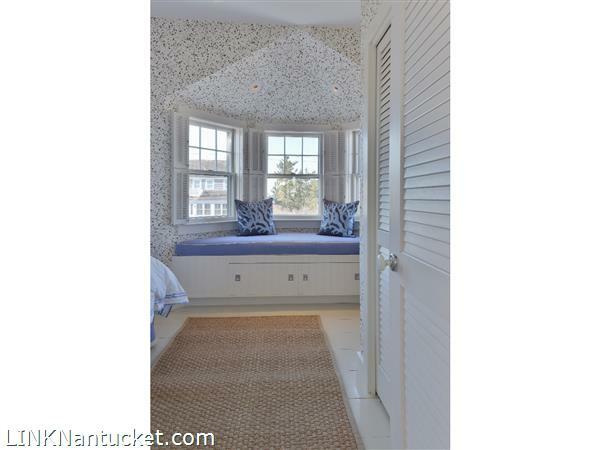 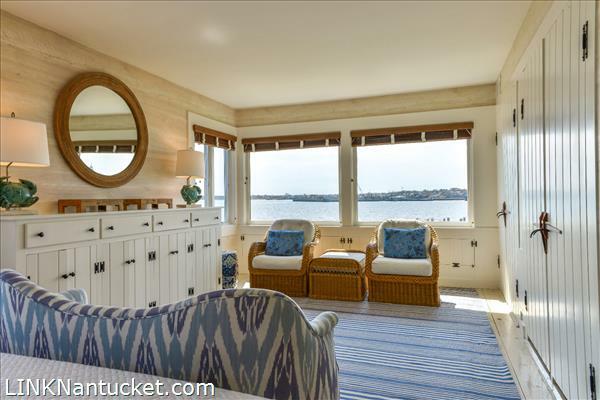 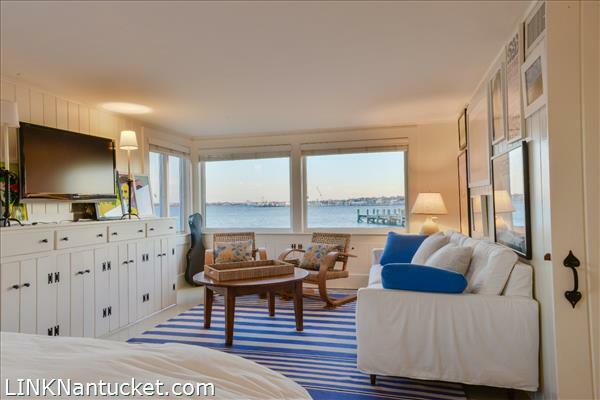 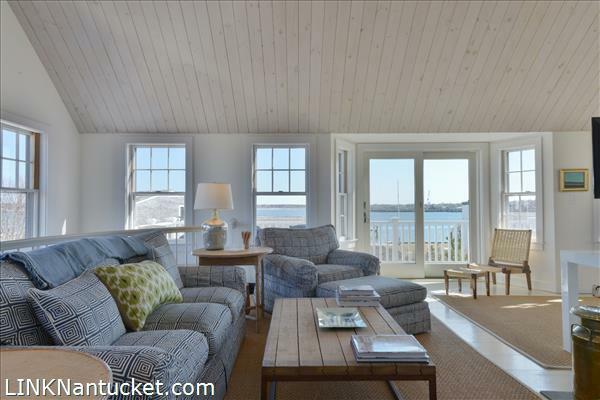 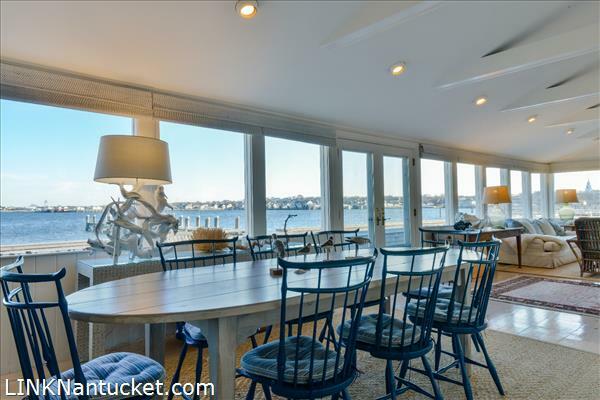 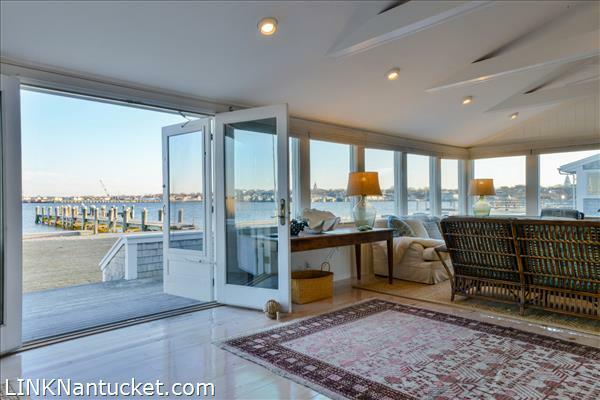 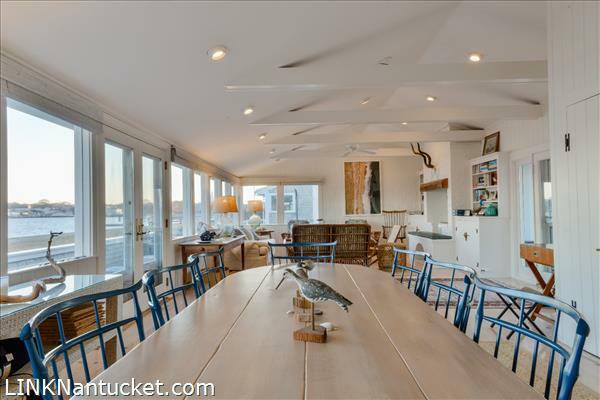 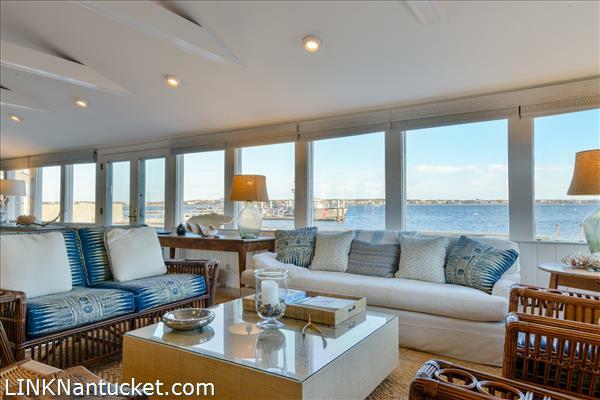 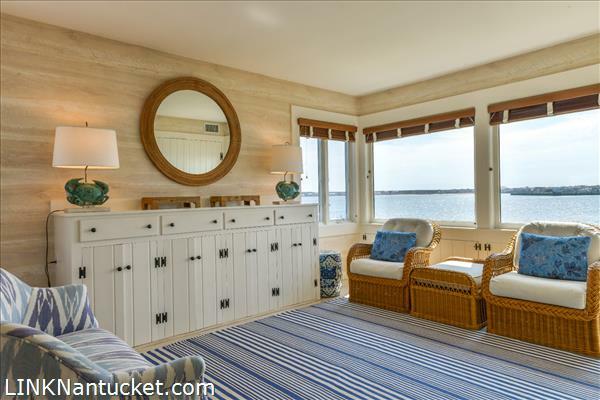 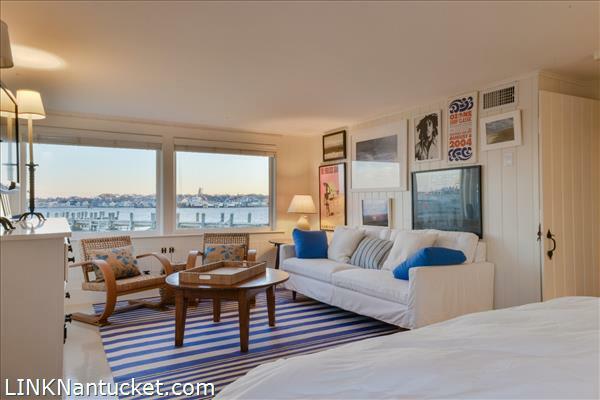 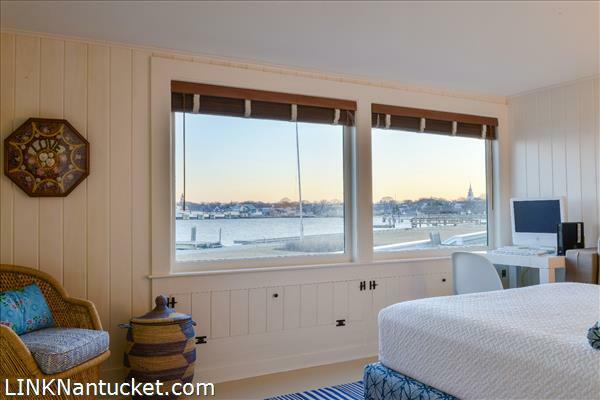 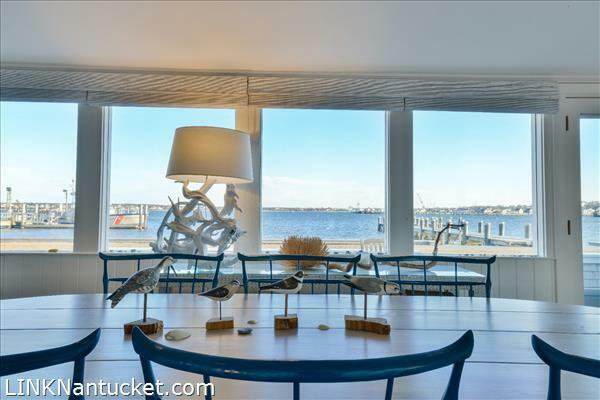 Second Floor: The second floor of the main home has two large bedrooms which again, have sweeping views of the harbor and town.